Need Research or Citation Help? We recommend the Purdue Online Writing Lab. The OCCC Library has 4 individual and 2 group study rooms for students to use throughout the term. Each room is equipped with a whiteboard/pens and each individual study room is also equipped with a computer. 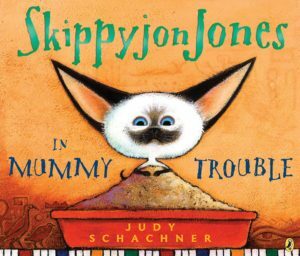 New items are updated weekly on this tab, all items listed on this page may be checked out by any patron with a Chinook Libraries Consortium library card. 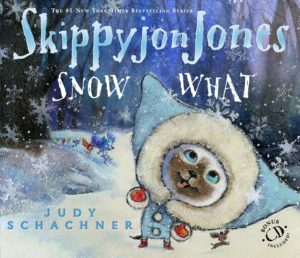 This would include any patron from Waldport Public Library, Toledo Public Library, Siletz Public Library, Clatsop Community College Library, Oregon Coast Community College Library and Tillamook Bay Community College Library. 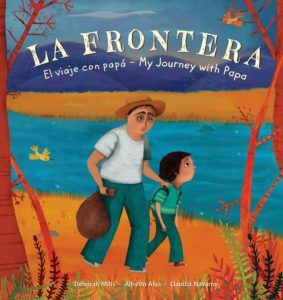 Alfredo y su papá deben cruzar la frontera en un viaje difícil de México a los Estados Unidos. ¿Encontrarán el nuevo hogar que están buscando en el otro lado? Basándose en hechos reales, esta historia cobra vida gracias a la ilustradora Mexicana Claudia Navarro, y está repleta de notas al final del texto para iniciar conversaciones sobre inmigración. 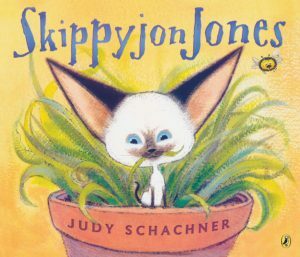 Join a young boy and his father on a daring journey from Mexico to Texas to find a new life. They’ll need all the resilience and courage they can muster to safely cross the border – la frontera – and to make a home for themselves in a new land. 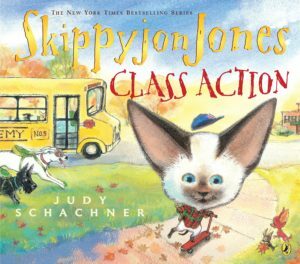 Skippyjon Jones is a Siamese cat with an overactive imagination who would rather be El Skippito, his Zorro-like alter ego. 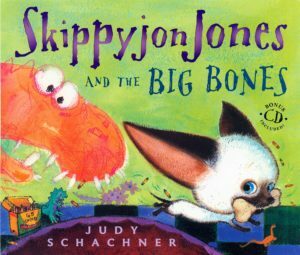 Skippyjon Jones, the Siamese cat that wants to be a Chihuahua dog, goes hunting for dinosaurs. 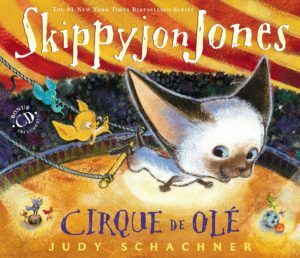 Skippyjon Jones, a Siamese kitten who thinks he’s a Chihuahua, dreams of traveling to ancient Egypt with his gang of Chihuahua amigos. 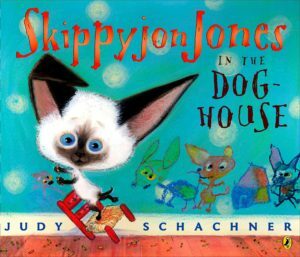 Skippyjon Jones lets his imagination take him to a shack where his Chihuahua friends are yipping and yapping and hiding out from the bad Bobble-ito, who has taken over their doghouse. 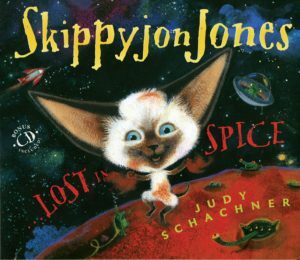 Skippyjon Jones, the Siamese cat that thinks he is a Chihuahua dog, has an adventure on Mars.